We end 2017 with a countdown of the 10 biggest stories of the year on Arena Digest, as chosen by editors and partially based on page views. 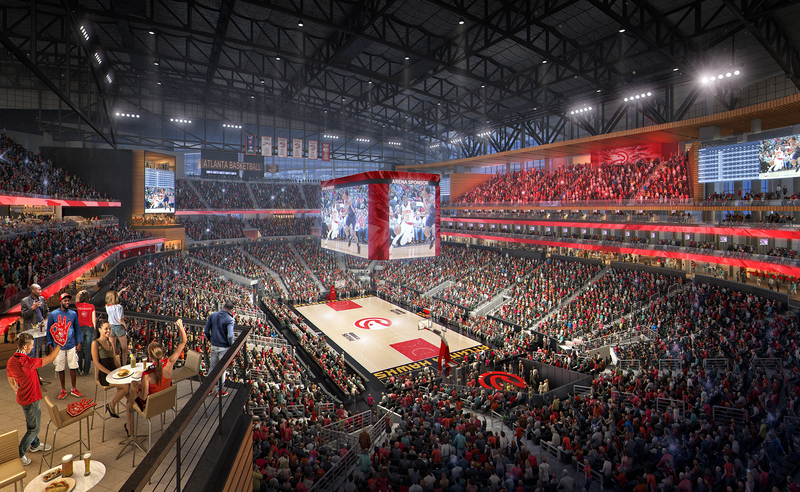 Today, #6: The Atlanta Hawks begin renovations to Philips Arena. It’s been a developing story since last November that improvements were coming to Philips Arena, home of the Atlanta Hawks. As our own Zach Spedden wrote, renovation plans were announced last year, the renovations are slated to take place in two phases over the summer months. This forced the WNBA’s Atlanta Dream to move to Georgia Tech’s McCamish Pavilion for the 2017 and 2018 seasons. In July, our own Kevin Reichard reported on the changes coming to Philips Arena including a 360-degree concourse, improved sightlines, the removal of the six-level wall of suites, a new Hawks bar, a center-hung scoreboard, a Hawks Meeting and Conference Center, a Zac Brown-inspired restaurant, a custom suites experience designed by Topgolf, and one of Killer Mike’s signature SWAG Shop barbershops. Construction began on June 20 with the final pieces of the project being potentially completed during the 2018-2019 NBA season. According to the Atlanta Business Chronicle, phase one of the project is complete. It took 124 days to complete and included the interior demolition of 100,000 square feet and the interior renovation of the North Club and Owner’s Suite. The Chronicle also includes a time-lapse video of construction this summer. That figure who easily make Philips Arena the smallest-capacity NBA arena. A popular trend for sports arenas and stadiums is having mixed-use developments nearby to accommodate various local businesses and to create a more social atmosphere. Philips Arena might be the next addition to that trend, as a nine-acre space named the Gulch being considered for a mixed-use development. The scope of the project would call for more than 10 million square feet of total development to take place at the site. Phase two of the project will continue this summer and if the plans come to full-fruition, it will be another gem in Atlanta’s sports crown. Jarah Wright is a contributor for Arena Digest. In addition, she runs her own sports blog called Wright Beyond The Bleachers and works as a freelance sports writer. She graduated with a journalism degree from the University of North Texas in 2012. Jarah resides in Tyler, Texas.